Bob Dylan says he considers Gordon Lightfoot (above) to be a mentor. One of Canada’s greatest and most prolific singer-songwriters will perform his music in concert Saturday, June 16, at Penn State. 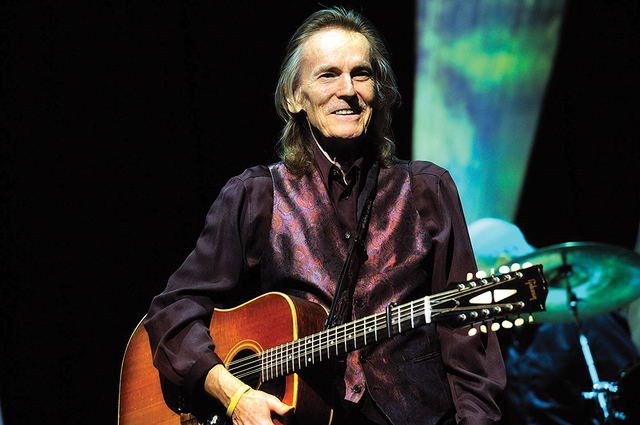 An Evening with Gordon Lightfoot at Eisenhower Auditorium will feature songs selected from the singer-songwriter’s 20 albums, ranging from hits to deep album cuts for die-hard fans. Lightfoot will tie together the songs with behind-the-scenes stories from a career that has spanned more than 50 years. Lightfoot has made a name for himself among music legends with half a century of hit song-making and international album sales in the multi-millions. He has earned five Grammy Award nominations, five number-one hits in the United States, and 17 Juno Awards (Canada’s equivalent to the Grammy). “Gordon Lightfoot has created some of the most beautiful and lasting music of our time,” says country singer-songwriter Kris Kristofferson. In recognition of his prominent role in helping to define the folk-pop sound of the 1960s and 1970s, Lightfoot was inducted into the Songwriters Hall of Fame in 2012. His songs have been recorded by a who’s who of folk, pop, and country artists, including Elvis Presley, Johnny Cash, Sarah McLachlan, Judy Collins, Anne Murray, Olivia Newton-John, Barbra Streisand, Jane’s Addiction, Glen Campbell, and Toby Keith. “If You Could Read My Mind,” his 1970 breakout hit in the United States, has been covered by some 300 singers. In Lightfoot, a 2017 biography, author Nicholas Jennings describes the singer-songwriter as a gifted musician who transcends troubles with women and alcohol to find peace and sobriety in his golden years. Greenhouse Productions presents the concert. For tickets or information, visit greenhouseproductions.net or phone (814) 863-0255. Tickets are also available at Eisenhower Auditorium, Penn State Tickets Downtown, and Bryce Jordan Center.